Having already been to the 2012 Consumer Electronics Show as well as the 2012 Audio Expo (AXPONA), I decided to take a different approach to this year’s CAS. I had already heard the big systems in the ballroom and I knew that quite frankly, they were likely to be covered by fellow Dagogoans in their reports. I therefore decided to have a more relaxed visit to the smaller rooms and spend much more time with my visits than usual and actually listen to music and chat with the builders, dealers, or distributors that were exhibiting. This tactic proved to be just the ticket for a truly enjoyable audio show experience. 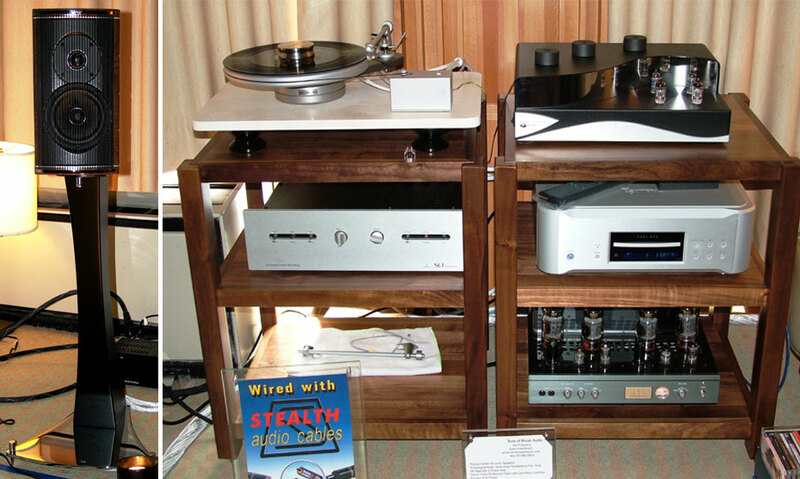 Though I did not come away with a clear “Best in Show”, there were some very noteworthy systems that strutted their stuff admirably in certain areas. First up is the Tone of Music Audio room. This room was graciously hosted by owner of Tone of Music Audio, Tim Nguyen. Aside from being right near my sleeping room, I was drawn in almost immediately when I read that there was a New Simon Yorke S9 turntable playing ($10,000). The cartridge was a Lyra Kleos. The rest of the system included CAT (Convergent Audio Technologies) Renaissance Preamp ($9,995), Air Tight ATM2 Power amplifier ($15k), Zesto Audio Andros PS1 phono ($3,995), Esoteric K03 Player ($12k), Stealth Cables ($10k), and Oyaide MB6 Powerstrip ($1,100). 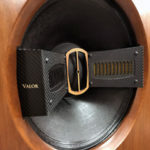 Speakers were the absolutely gorgeous Franco Serblin Accordo ($13k). I mentioned to Tim that these speaker looked very Italian and indeed sounded reminiscent of Sonus Faber speakers I have heard in the past. As it turns out, Franco Serblin is formerly from Sonus Faber. Overall the sound was wonderfully rich, excellently imaged, expressive, and perhaps just a tad tilted upward in the highs (a migrated Sonus Faber trait?). This room was a treat and I made sure I came in for a second and third visit during the course of the weekend. Next up is the JIB/Voce Audio/One World Audio Room. Jonathan Josephs of One World Audio and Vincent Solbes of Voce Audio were on hand proudly showing their system. Indeed this one was strutting its stuff. 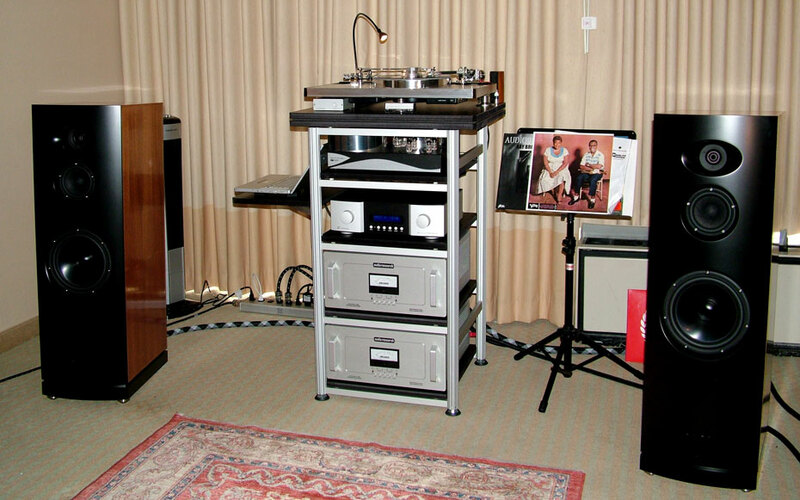 The overall system was comprised of the Voce Audio VA-3 Speakers ($19.9k), Lindemann 885 Integrated Power Amplifier, JIB and WyWires cabling throughout, Zesto Audio Andros PS1 Phono Stage ($3,990), and the now famous signature piece of the Jonathan Josephs exhibits, a vintage Luxman turntable. There was also a computer and an $1,100 Lindemann USB DAC on hand that was probably decent, but quite frankly why bother when the vinyl was sounding so damned great! 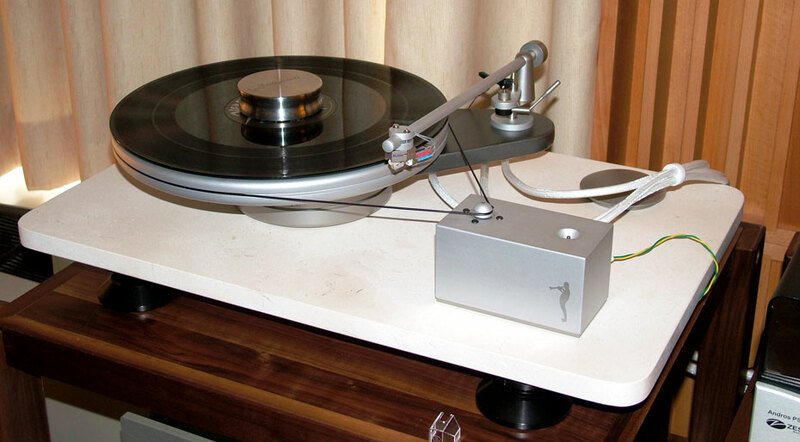 This go around the Luxman table was configured with a Triplanar tonearm and the exquisite moving iron “Hyperion” cartridge from The Soundsmith. This was another room with a very rich and inviting sound. The only aberration I could detect was a nagging bass boom problem which actually became a recurring problem elsewhere in many other rooms. This did not detract from the sheer enjoyment of the sound this system portrayed. A real standout regardless of the acoustical challenges. Next on my journey, Audio Space. This room sported their latest incarnation of the BBC-spec LS-3/5A monitors ($1,790). 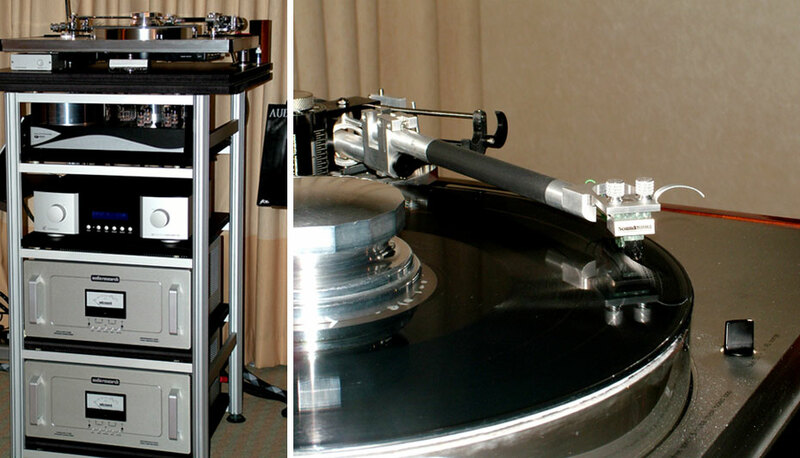 These 11 ohm variants sat atop dedicated subwoofers that doubled as stands. 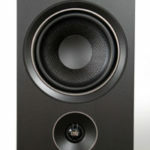 The SW-1A ($1,190), crossed over at 70Hz. 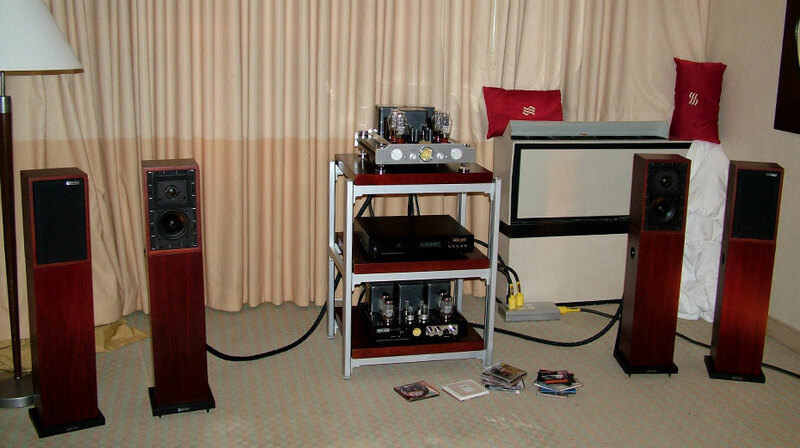 These were powered by the Audio Space Reference 3.1 (300B) class A triode integrated amplifier ($4,290), and source was provided by the Audio Space CDP-3A cd player. The sound was spacious and clean, but a bit challenging with bass boom that nagged many systems in the show. 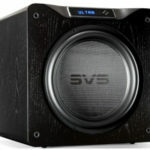 This also seemed to compromise the woofer integration to the mini monitors. 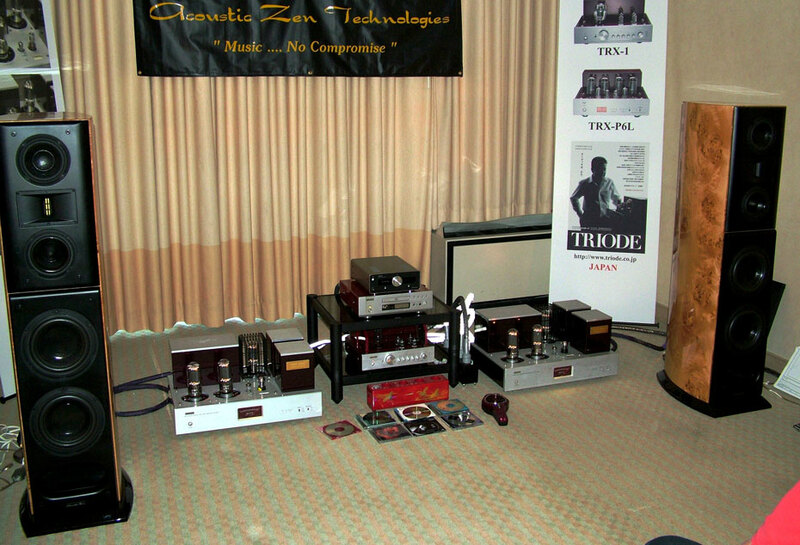 The Acoustic Zen room was once again a teamed up with Triode Audio. 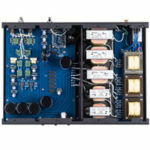 On hand were the Triode Audio TRX-M845SE single ended class A 50 watt monoblocks, TRX-1 vacuum tube preamplifier, push-pull 45-watt-per-channel integrated amplifier, TRV-CD4SE Upsampling tube CD player. 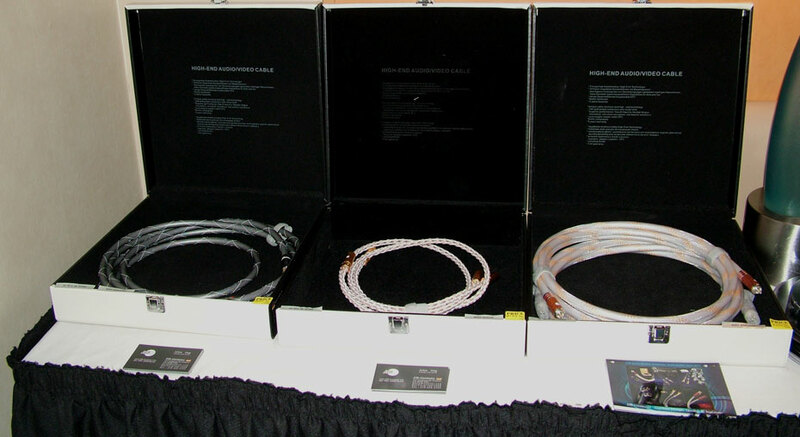 The speakers were the excellent Acoustic Zen “Crescendo” and of course all cabling was Acoustic Zen. This was another room that delivered very good sound and imaging.